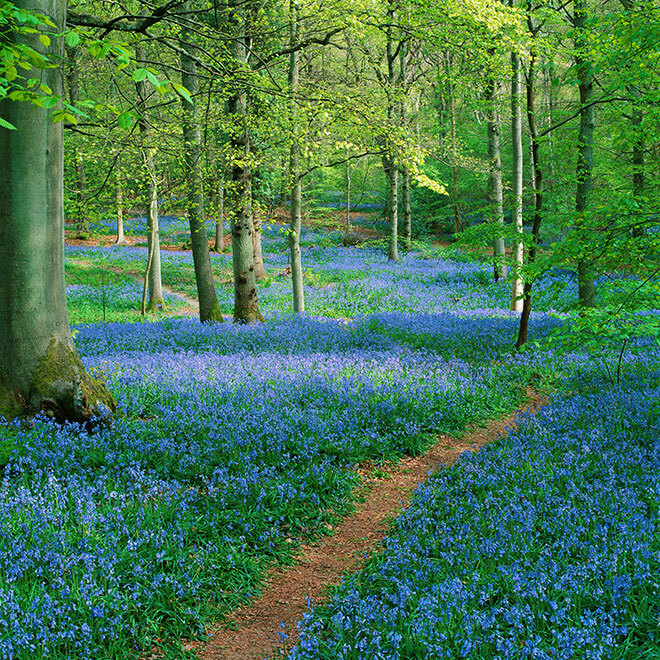 The mass flowering of bluebells in the UK must be one of the most spectacular of all naturally occurring flowerings, carpeting entire woodlands in a truly breathtaking blue haze. We are fortunate to have more bluebell woodlands and bluebells than any other location in the world. The bluebells reach the pinnacle of their display anytime from mid April to mid May depending upon location and weather conditions. Unfortunately with global warming now being a reality the bluebells are under threat. Yet another reason to take global warming seriously.